Our most recent new member is Ernesto Gonzalez. 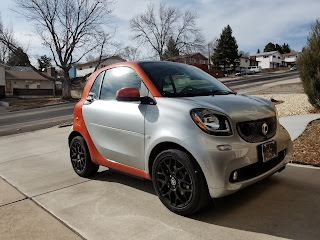 He hails from Colorado Springs and just purchased a 2019 Prime Smart Electric that is Silver/Lava orange. Ernesto is a Retired District 11 and USAF musician with Academy Jazz Ensemble and Peak Big Band. Ernesto has expressed interest in our Earth Day event participation, and we hope he'll take his car there. Please make him welcome!